Harbor History Museum is eager to share unreleased footage documenting the collapse of the Tacoma Narrows Bridge on November 7, 1940. Taken by Arthur T. Leach ­– a toll both operator at the time — “The Lost Footage” is the only known video of the collapse as seen from the West side, or Gig Harbor side, of the Tacoma Narrows. 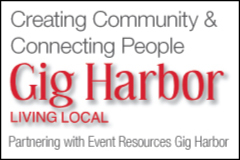 Along with a Director Talk, Harbor History Museum plans to debut “The Lost Footage” on February 12th, 2019 at 6:00 p.m. as part of the Museum’s Humanities in the Harbor series. Those in attendance will be the first to glimpse the unseen 7:30 minute video of Galloping Gertie’s collapse and learn more about Arthur Leach, the research to verify the footage, and what happened that fateful November day.